Bravo to CBS soap opera The Bold and the Beautiful for recognizing that the addition of a new family on the scene does not have to take away from the show’s established families. Instead the new members of the cast add fresh twists and turns to the developing storylines. 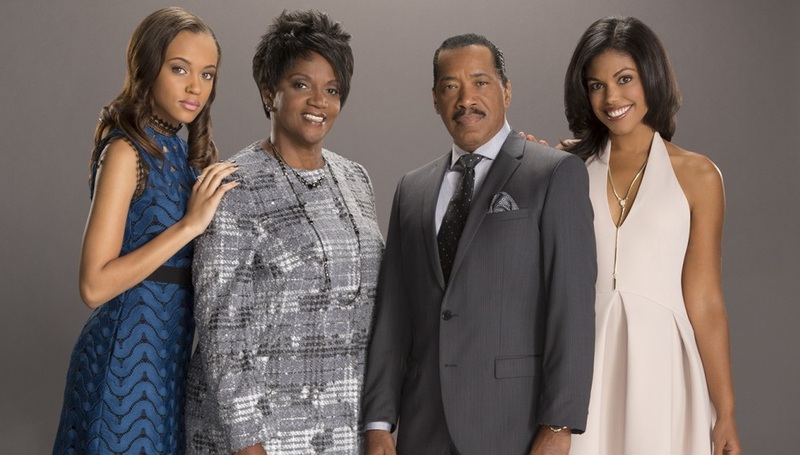 Initiated by the front-burner storyline of supermodel, Maya Avant, born Myron (played by Karla Mosley), the Avant family was gradually introduced to the B & B’s California scene. By allowing the audience to get to know the first Avant newcomer, Nicole, Maya’s sister (played by Reign Edwards), the viewer was able to gradually learn Maya had a secret related to her past. After learning the truth of Maya’s birth gender, Nicole and Maya began to refer to more family members the two left behind. However, the Avant family’s measured entrance onto the scene, enabled them to merge alongside the well-established Forrester clan without diminishing the importance of one of the show’s primary families. With Maya’s gender reassignment established, and accepted, by all of those she interacted with, where would the crux of the story come from? The answer came from the long eluded to, deep ceded, conflict between Maya and her father, Julius. The addition of Julius and Vivienne Avant (played by Obba Babatundé and Anna Maria Horsford), Maya and Nicole’s parents, added another layer of richness to this dramatic, standout 2015 story arc. The Bold and the Beautiful progressively built a story around narrow-minded Julius’s acceptance of his child becoming the person she was meant to be. Sasha is the latest member of the Avant family to show up in LA. While the original conflict that brought the Avant family onto The Bold and the Beautiful canvas has seemingly been resolved, the writers have brought on yet another Avant, who unbeknownst to the rest of the family, is Julius’s illegitimate daughter, Sasha (played by Felisha Cooper). The unending stories that can arise from this new family will hopefully continue to enhance the show and complicate the lives of both the Forresters and the Avants. Let’s hope The Bold and the Beautiful continues to develop storylines, incorporating their newest additions. Although the proverbial jury is still out, I wouldn’t mind adding another core family to this show. The Forresters, the Spencers, and the Avants could make for very exciting viewing.